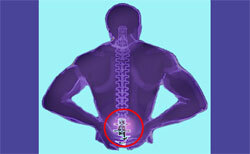 Lower back pain is true torture. If you are suffering and need help, then you have come to the right place. We provide easy to understand guidance on curing lower back pain and have helped people from around the world to find relief for more than 15 years. Our website is free to use and provides a safe haven for all who are in terrible pain. 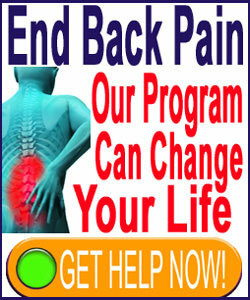 If you are seeking immediate help, please read more about our Cure Back Pain Forever Program. These tools and techniques are available online 24/7 to get you on the right path towards better health and a pain-free life. If you are looking for a community that is filled with people who do not seek to benefit from your suffering, then relax. You are home here. Take advantage of our collective experience as fellow patients, doctors and therapists to learn how to defeat lower back pain once and for all. You are our most welcome guest. Knowledge is your most valuable weapon against pain, but also against the high incidence of misdiagnosis, as well as unnecessary treatment and surgery. 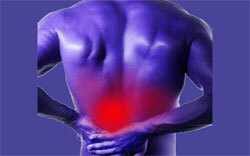 The more you can learn, the better prepared you will be to do battle with low back pain. We provide all the information you will ever need. You do not have to spend any money to help yourself. However, if you do decide to support our mission by donating, or purchasing our products, then know that you are helping fellow patients on a global scale and that many of these people have limited access to quality healthcare information and services. 100% of the income generated by this website goes towards education, patient advocacy and research to help us all collectively as a community of chronic pain victims. We cover many topics in our navigation menu. Each of these main topics is broken down into smaller sub-topics to help present a complete picture of lumbar pain in a very unique manner. We provide a site map and a site search function that returns results from all of our many web resources. 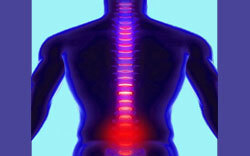 If you are interested in a particular topic, please search it and benefit from our combined expertise that remains unrivaled in the back pain information sector. We never allow our editorial content to be influenced by advertising. We never endorse products or services for money and will only speak positively about products or treatments due to their proven efficacy. We also do not shy away from harsh criticism of products or services and provide the truth even though our opinions have caused us to be labeled as “healthcare renegades” in the media. That’s right; we are renegades in the fact that we place humans as being more important than financial gain. It’s nice for a change, don’t you think?